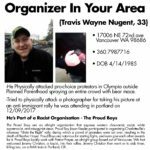 The morning of May 1st, a few crews got together to pay a visit to the neighborhoods some of the local Proud Boys and Patriot Prayer members. 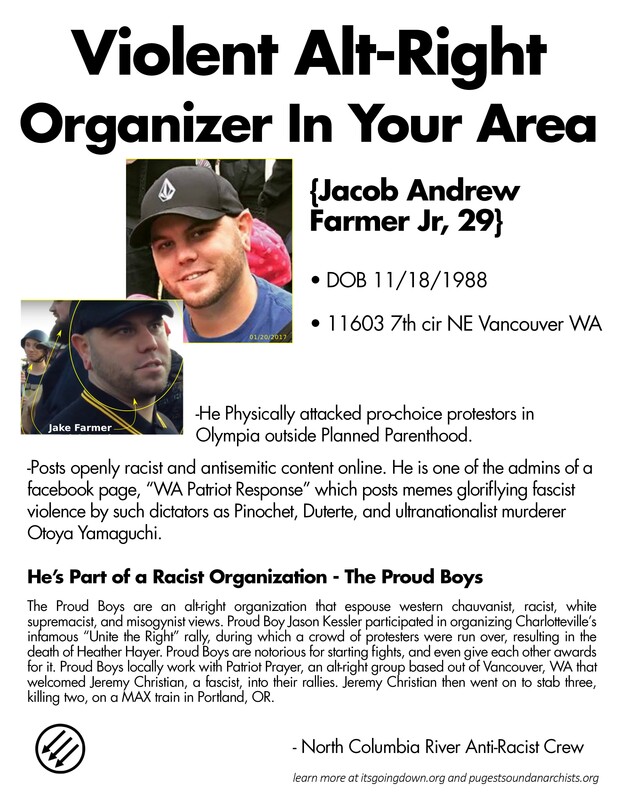 For those who don’t know, the proud boys are an alt-right organization that espouses “western chauvinist”, racist, misogynistic, and white supremacist views. They are notorious for starting street fights and give each other awards for it. 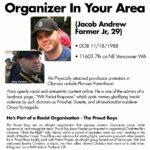 Locally, Proud Boys work with Patriot Prayer, an alt-right nationalist group based out of Vancouver, Washington. 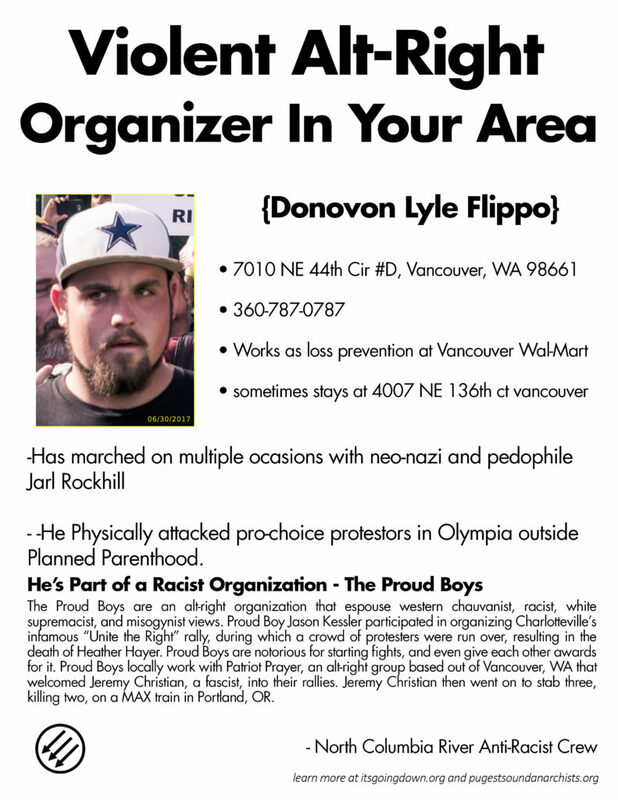 Both Patriot Prayer and the Proud Boys are notorious for giving space for outright white supremacists and self described fascists and neo-nazis to organize publicly. 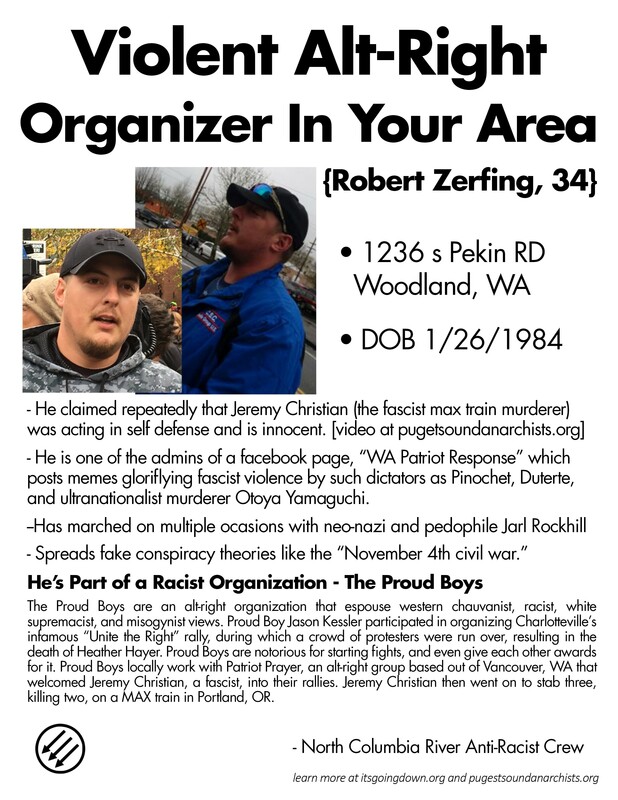 These groups welcomed in people like the fascist Jeremy Christian who went on to stab three people, two of whom died, on a MAX train in Portland, Oregon. 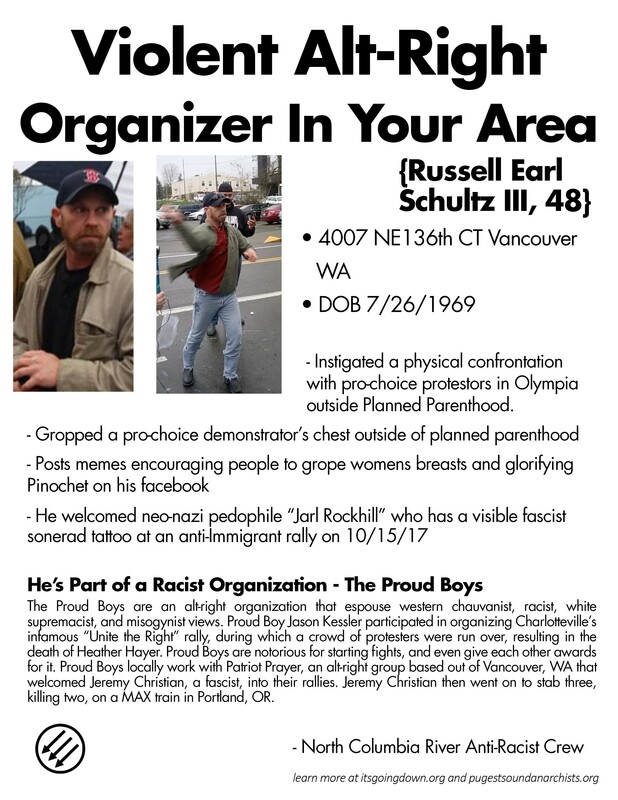 These particular people we visited have been particularly violent and dangerous, not to mention particularly welcoming to outright fascists and neo-nazis. 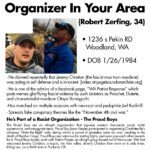 Or, as in the case of Jacob Andrew Farmer and Robert Zerfing, are outright fascists and make no effort to hide it. 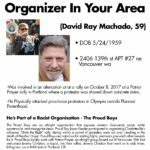 Our crews took to their neighborhoods, informational fliers in hand, to inform their neighbors about who these people are, what they’ve been up to, and where they live. 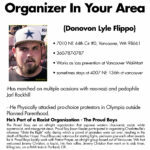 We feel people should know if their neighbor is a white supremacist or fascist sympathizer. 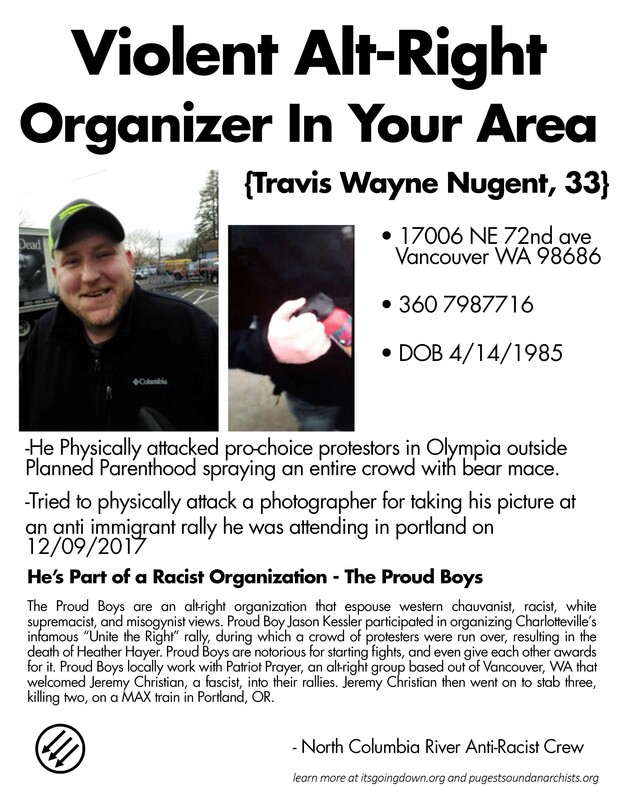 We think that confronting fascists in the streets is vital but we also think that a diversity of tactics are important and we found that outing them to their neighbors was easy and hopefully effective. Feel free to replicate and repeat! 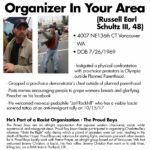 Russel Shultz’s house in Vancouver was recently sold. 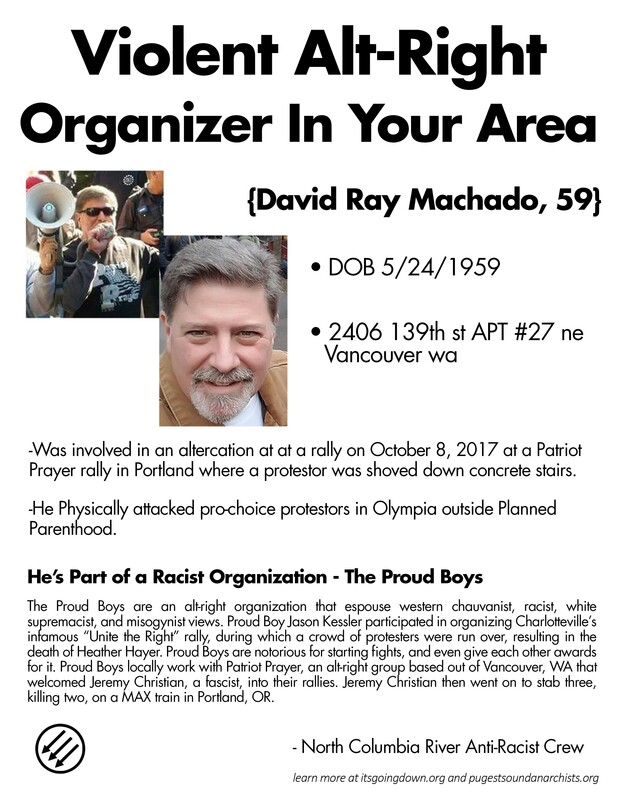 Happy May Day Proud Boys!